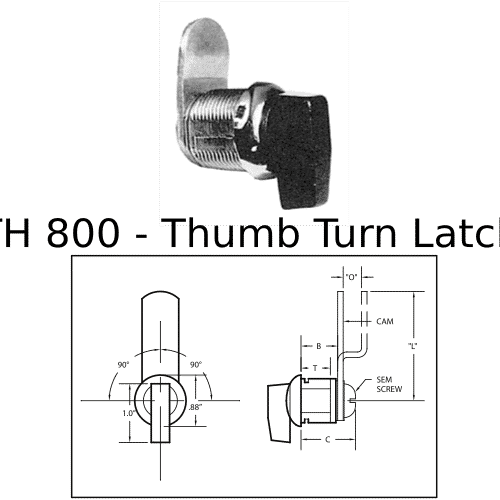 The Thumb Turn Latch is perfect for easily and quickly securing hatches that don’t require high security. 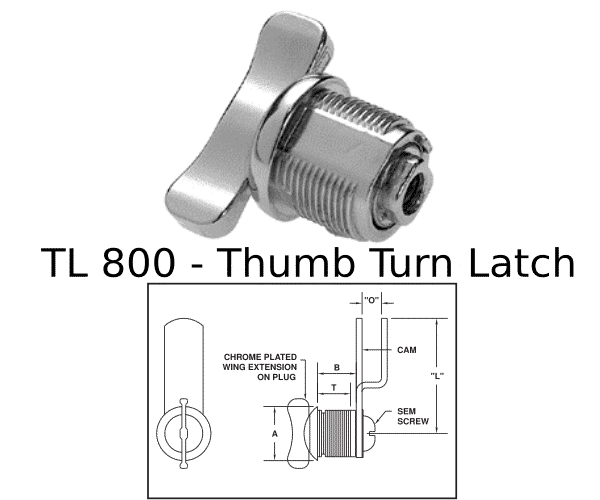 The TL 800 Thumb Turn Latch is perfect for easily and quickly securing hatches that don’t require high security, and are available in four different sizes. Ball and spring detent create a firm and definite positioning when actuated. 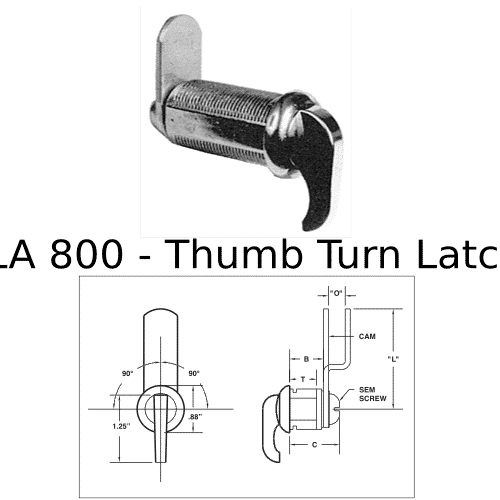 Unique thumb turn plug extension is featured on each of our various latches. Zinc die cast housing and cylinder. Nickel plating is standard, other finishes available upon request. To install, drill 3/4″ hole, drop latch in and fasten body nut. That’s it.